These works are all motivated by the Holy Spirit and used by Him to transform our lives and ministries into the image of Christ. We need all three. In this series, we explore the blessings and dangers associated with them, as well as the best intentional responses to them to facilitate them in our lives. Today we discuss daily discipline. There are several vital disciplines in the life of the emerging leader. First, the Spirit changes us as we come before Him in our daily, disciplined times with God. We all need regular devotional lives – times that we “devote” to God, coming apart from every other activity. Moreover, we need to seek God as a daily discipline whether we feel like it or not, whether we think that we sense the presence of God or not. This devotional discipline can include prayer, meditation, quietness before God, systematic personal study of the Word of God, sitting under teaching, fasting, group praise and worship, giving, family devotional times and so forth. Second, we must cultivate the discipline of the heart – that which guards our inward lives. Without the essential quality of discipline, all other leadership virtues remain stunted; they cannot grow. Before we can conquer the world, we must first conquer the self. A leader is a person who has learned to obey a discipline imposed from without, and has then taken on a more rigorous discipline from within. Those who rebel against authority, and scorn self-discipline – who shirk the rigors and turn from the sacrifices – do not qualify to lead. Many who drop out of ministry are sufficiently gifted, but have large areas of life floating free from the Holy Spirit’s control. Lazy and disorganized people never rise to true leadership. First, the emerging leader submits to discipline. In this initial stage, the leader humbly commits himself to God and to those around him. He chooses to trust others with the deepest parts of his life. He becomes vulnerable, coming under another’s influence and submitting himself to others’ strengths. Then, in that context, internal discipline is built into the life of the leader (1 Cor. 9:25-27). The community’s advice and correction (in line with the Word of God) nurtures him. As he submits to someone outside of himself, he builds self-control. Every leader will eventually have his integrity tested, especially as he grows in responsibility. The nurturing community strengthens him to choose the right way – whatever it may cost him. Once internal discipline is in place, God permits the leader – and man trusts him – to lead others. This is where the leader, strong in both capacity and character, fulfills his Divine purpose. The leader submits to discipline from without. By doing so, he develops discipline from within. When that is mature, he is then permitted by God to give discipline to others. This order cannot be reversed and none of the steps can be skipped. Internal discipline must be in place in the leader before he can effectively lead others, and his own external discipline must be in place before he can build true inward discipline. Thus, if one does not truly submit himself to another (Stage 1), he should never be trusted with true leadership responsibility (Stage 3); he has not yet begun to build true character. Furthermore, these three stages are cumulative. They are not sequential in the sense of abandoning one when moving to the next. 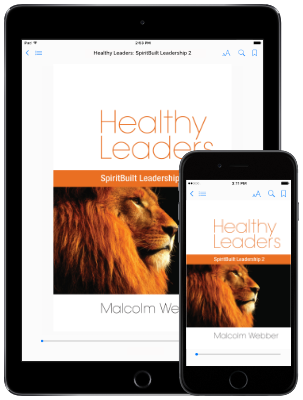 The healthy leader maintains both his submission to others and his internal self-discipline while he leads others. We can only command if we know how to obey. We can only be a leader if we know how to be a servant. He was also disciplined in fasting and corporate worship (Luke 4:2, 16), and He came under the discipline of the human community around Him (Luke 2:51). Of course, Jesus always submitted to the discipline of His Father (Heb 5:8). Discipline must be balanced with dependency and dealings of the Spirit, otherwise it becomes dangerous to the life and character of the Christian leader. Imbalance in the area of discipline becomes legalism. The Christian who does not enjoy the blessing of the positive dealings of God and the vitality of continuous dependence on the Holy Spirit will soon start trusting in himself and his own works to stay right with God. Such a leader will not be moving under God’s breath as he should be. He will not know God or His grace as he should. Having lost the power of the dramatic dealings of God in his life and the vitality of a continuous walk in God, his life will be largely fruitless – outwardly righteous but inwardly sterile and barren. As we discipline our lives to seek God daily and submit to His purposes (whether we feel like it or not), we will find that it is easier to respond to His dealings when they come. Likewise, continuous discipline will strength our continuous dependency on God. When we have all three in our lives there is balance and strength. If we walk on these three paths, God will transform our lives by the power of the Holy Spirit and we will be changed daily into Jesus’ image.